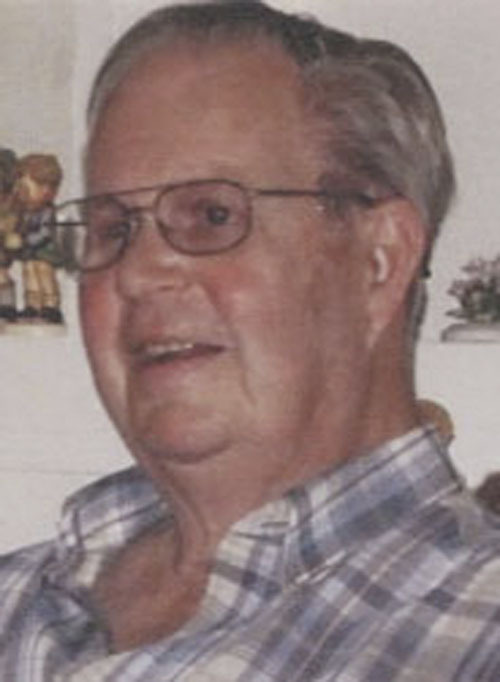 Raymond G. Engwall, 86, of 60 E. Cowden Place, passed away Thursday, April 11, 2019 at Heritage Green Rehab & Skilled Nursing. A lifetime area resident, he was born in Jamestown on May 24, 1932, a son of the late Laverne and Lillian Peterson Engwall, and was a 1952 graduate of Bemus Point Central School. He also served in the Naval Reserves for eight years. Ray had been employed as a tool & die maker for 41 years by MRC, which became SKF. In earlier years, he was a member of First Covenant Church where he and his wife, the former Mary Jane Holmberg, were married in June of 1953. Together, they would have celebrated their 66th anniversary this June. In later years, they have belonged to Pilgrim Memorial United Church of Christ. Ray belonged to the Vikings, the United Auto Workers and was a volunteer at the St. Susan Center for many years. He was also a member of the Falconer Flying Club and enjoyed building and flying model airplanes. In addition to his wife, Mary Jane, surviving is a son, Keith (Neva) Engwall of Lakeland, Fla., and daughter, Sue (Kevin) Ellberg of Jamestown; granddaughter, Erin Acevedo and great-grandson, Jonas Hilburn; as well as a niece, Kathy Eisele of Waterville, N.Y.; nephew, Kevin Engwall of Jamestown; and niece, Karen Berg of Russell, Pa. He was preceded in death by his parents; a daughter, Brenda Engwall; and brother, Sherwood Engwall. A memorial service will be held at 2 p.m. Friday, April 19 in the Lind Funeral Home. Friends will be received for one hour prior to the service in the funeral home Friday. Memorials may be made to the Chautauqua County Humane Society, 2825 Strunk Road, Jamestown, NY 14701; or the St. Susan Center, P.O. Box 1276, Jamestown, NY 14702-1276. To leave a condolence for Ray’s family, please visit www.lindfunerahome.com.